Scanned Historic Niagara Falls Photos from the paper archives at the Niagara Gazette. 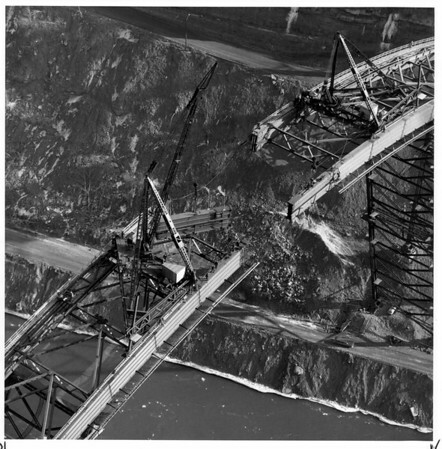 Lewiston -Queenston Bridge, 1962 Aerial view of the first arch girder. Photo - Bethlehem Steel Corporation Coll. - 1962.